We know that if it depended only on the team of designers , Windows would look very different, but for these changes to become a reality they must go through a very long process and in the end it is the engineers who decide whether or not to integrate what they do in design . Michael West, who is also a designer and passionate about the Windows experience on the desktop, has published a series of concepts taking Fluent Design a little further in Windows 10 and has named them ‘ Fluid Desktop’. The truth is that they look more than interesting. Perhaps the most interesting of all this, is that unlike other concepts that we have seen Windows with innovative and different designs, those of West are not too far-fetched and perhaps are closer to being something viable and that we would see in Windows 10 if Microsoft I had a bit more daring . The most striking part of this ‘Fluid Desktop’ is obviously the floating task bar , it is perhaps also the most unlikely, but that is why it is also the most fun. West also shows how the new ‘ Sets ‘ would look like in their concept , the new intelligent tabs that group applications and that will soon reach Windows 10. The changes proposed by Michael are not drastic, they are just ideas to redesign the shell to make it cleaner and smarter . Simply eliminate the clutter a bit and replace it with something more minimalist. A change so simple and just looking to get rid of the small mess of icons that accumulate in that tray for more than half a dozen versions of Windows. That was just the first step to devise that floating task bar, one that extends as apps open. And then, of course, adjust the start menu to that new bar, and move things like Cortana to the other side, next to the Activity Center. It’s just an idea, and it does not look bad at all, although surely there are detractors. 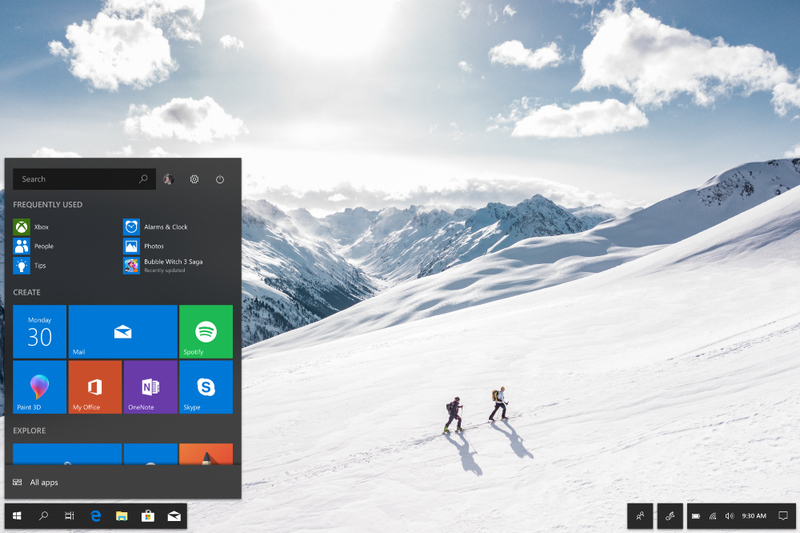 Since Microsoft introduced its new and refreshing design language, many of us were excited by the sea of ​​possibilities that opened for a more modern and beautiful Windows 10 . But, unfortunately, Fluent Design has not been the big change that some dreamed of , but a series of small details that Microsoft has been adding too timidly in the latest major updates of the operating system. Little by little we see some changes, some transparencies here, some new icons over there, many inconsistencies between the same apps of the system, and an eternal cycle of redesign that continues to advance at very timid steps. Something that probably stays that way for much, much longer. November 22, 2018 in Technology News.